Dr.Tee Mac Omatshola Iseli (MFR), is Nigeria's multi-talented maestro flutist with cross-cultural Itsekiri and Swiss roots. Ask anyone in showbiz world, the handsome musician is known as a no-nonsense man, who doesn’t mince words or suffer fools gladly. The highly revered entertainer shows the stuff he is made of once again as he took to social networking site facebook and verbally attacked Bishop David Oyedepo. 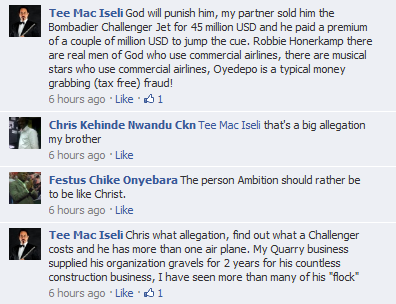 Chris what allegation, find out what a Challenger costs and he has more than one air plane. My Quarry business supplied his organization gravels for 2 years for his countless construction business, I have seen more than many of his “flock” he responded. 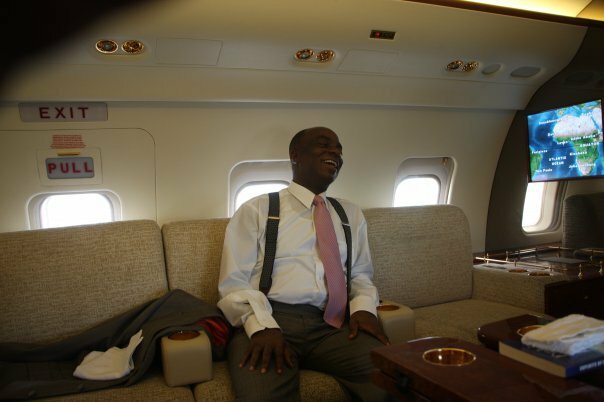 Meanwhile,Bishop Oyedepo has maitained a stoic silence over the development. For those that don’t know Bishop Oyedepo,he is the general overseer of Living Faith Church (aka Winners Chapel) which has branches in over 50 countries all over the world and 400 local branches in Nigeria alone. The ministry headquarters is located in Canaan Land, Ota, Ogun State Nigeria. Faith Tabernacle also known as Canaan Land is possibly the largest church and seats up to 50,000 members. 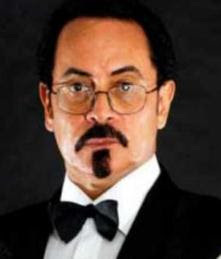 Following these allegations leveled against the highly revered “Man of God” by Tee Mac; should will conclude that this is the beginning of war between two elephants?